Dr. Rebecca Hierholzer has a laudable educational background. She earned her combined B.A. and M.D. at the University of Missouri Kansas City School of Medicine in 1981. She completed her internship and residency in Emergency Medicine at Truman Medical Center in Kansas City. She earned her MBA in Healthcare from American Intercontinental University in 2005. She is licensed in Missouri and Kansas, and is board-certified by the American Board of Emergency Medicine. Additionally, she is certified in advanced cardiovascular life support (ACLS) and pediatric advanced life support (PALS). University of Missouri has designated her as a Clinical Associate Professor of Emergency Medicine. 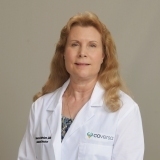 Dr. Hierholzer is founder and chief executive officer as well as Medical Director of COVERSA (Collection of Victim Evidence Regarding Sexual Assault), a nonprofit organization that she established in 2000. Her foundation is dedicated to providing post-sexual assault patient care. COVERSA provides the services of SANE (Sexual Assault Nurse Examiners) to area hospitals and medical centers in Kansas and Missouri. Their offices are located at 2900 Clay Edwards Drive, Suite 205, NKC, MO 64116 and 1317 W 13th Terrace, Level 3 A, Kansas City, MO 64102. You can find them at www.coversa.org or on Facebook, and they currently provide services at North Kansas City Hospital, Centerpoint Medical Center, St. Joseph Health Center, Cass Regional Hospital, Ray County Hospital, Lafayette Regional Hospital, Liberty Hospital, Research Medical Center, Belton Medical Center, Overland Park Medical Center, Olathe Medical Center, Excelsior Springs Medical Center, Lees Summit Medical Center and Western Missouri Medical Center. She is active member in the Kansas City Medical Society, the Missouri State Medical Association and represents Missouri as a delegate to the American Medical Association, a life time member of the International Association of Forensic Nurses, a member and fellow of the American College of Emergency Physicians and member in Missouri and Kansas State ACEP groups and also the Forensic Section. Dr. Hierholzer was named Emergency Physician of the Year (2010) by the Missouri Emergency Nurses Association. Also Woman of the Year (2012) by the National Association of Professional Women, Physician of the Year (2012) by Continental Who’s Who, Rising Star (2014) by Non-Profit Connect, Member of the Year (2014) by Bristol Who’s Who, Woman of Outstanding Leadership (2014) by the International Women’s Leadership Association. Also received the Community Service Award (2015) from the Kansas City Medical Society.